Today using a proven pesticide is of utmost concern to consumers. Fleabusters® for Fleas Plus has both federal and state EPA registration. 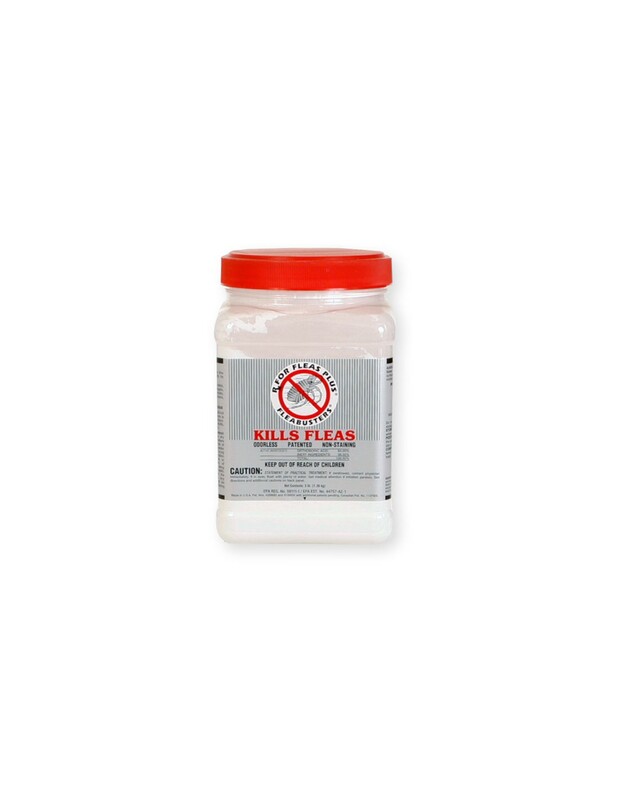 The Fleas Plus powder is milled to be extremely fine and is also statically charged. The Fleas Plus also has a neutral pH of 7.0. While being very safe for carpets, the neutral pH is actually more important in a pest control sense by not causing the targeted pest (flea) to be repelled from the powder. Roaches, ants, fleas, etc., can sense and avoid an alkaline or acidic substance, but crawl right through the neutral pH material. 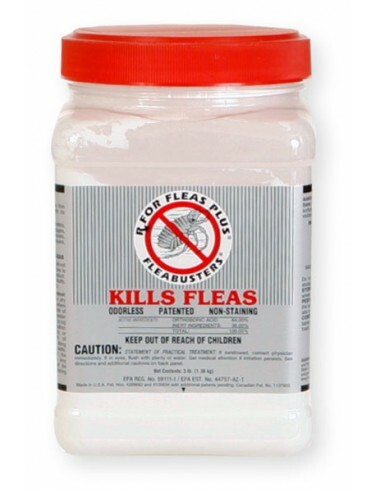 Fleabusters® For Fleas Plus is 33% less toxic than pure boric acid powder products! FleaBusters RX For Fleas Plus Size: 3 lbs.